It is some LOUD at BC place as Pierce gets rocked. 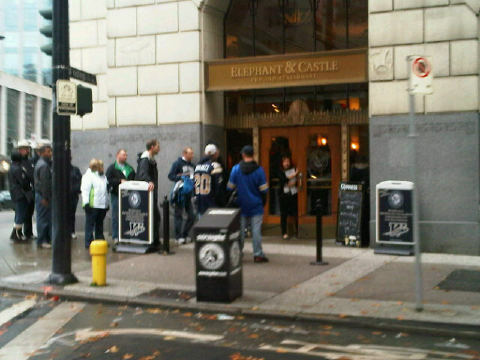 @pmharper Did u ever think u'd b sitting watching the 99th Grey Cup sitting in the stands as our PM? Awesome eh? Proud 2 B Canadian! Big Congrats on the Lions sidelines for the O-Line after creating thst huge hole. 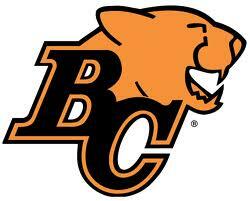 DO THE ROAR - GO BC LIONS!!! They showed nickelback on big screen, crowd booed! Deon Beasley with huge pass knockdown in endzone as #Bombers force #Lions to kick FG and its 10-0. Geroy Simon's 39 yard catch was the longest for him in a Grey Cup. @shanelpratap lol. I don't think anyone admits to liking them lol. R U kiddin me!!!!!! Wow!!!! Shoulda been overturned. #bluebombers #CFL I can't believe that. #Bombers gotta give the rock to Chris Garrett if they're to have any chance. 4 song half time show...best entertainment Bombers fans will see so far! I might be in our L/R in PoCo watching the game but my heart is in BC PLACE - ROAR! Good field position after Jovon return but #Bombers offence still hasn't seen the #Lions side of the field yet. Another 2 and out for the Bombers..Buck doesn't seem to willing to take off and run after Korey Banks nearly took his head off..